For the Next 72 Hours Get a Deluxe Digital Copy of New Jacobin Club’s Critically Acclaimed Album “SOLDIERS OF THE MARK” For Just $8.00 and Receive “LEFT BEHIND” for FREE! For a limited time you will receive the NJC’s 2 most recent releases for just 8 bucks – but when the timer hits zero, this special offer will be gone for good! You get the NEW 10 track album + 5 exclusive bonus tracks + 4 song ep – A total of 19 tracks! 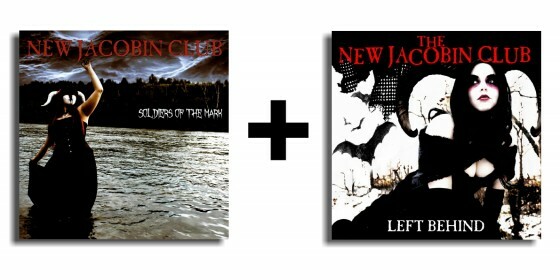 Click Here To Download “Soldiers of The Mark” with “Left Behind” Now! 2 digital releases – 19 songs for $8! You will receive digital copies of both “Soldiers of the Mark” and “Left Behind” via email, immediately after placing your order.